Kari returned to PLU in January 2016. She previously spent five years working in nearly every corner of the newsroom at The News Tribune in Tacoma. Her experience spanned from sports and news copy editing and pagination to local government, communities and breaking news reporting. In addition, Kari’s investigative stories earned her multiple awards, including New Journalist of the Year in June 2015. During her time at PLU, the 2011 graduate contributed to many media and leadership organizations on campus, including The Mooring Mast and MediaLab. Kari also works part time as an adjunct faculty member at the University of Puget Sound advising the student newspaper, The Trail. Rustin Dwyer joined the Marketing and Communications department in December 2014 in a desperate bid to avoid another bitter winter in New York City. He spent his last eight years there working as the staff videographer at The New York Botanical Garden in the Bronx. He has also worked with Disney, ESPN and the International Federation of Competitive Eating. John will soon hit his sixth year at PLU. Prior to his time at the university, he spent 15 years working for himself with a main client, Associated Press and APImages, but also worked with regional and international news outlets along with corporate clients. Way back when — in 1977 — John graduated from Ohio University with a B.F.A. in photography and an emphasis on photojournalism. John mostly spent his working life as a photojournalist with newspapers or news agencies. Simon Sung graduated in 1990 from the University of Washington. During his tenure in the design field he has worked for various clients including Simon and Schuster, Random House, Crown, Disney, Chronicle Books, Starbucks and the National Baseball Hall of Fame in Cooperstown. Lace is responsible for curating adaptive and sharable content on PLU social media. 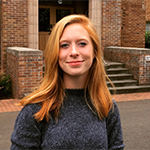 Starting in PLU’s Student Involvement and Leadership in 2005, Lace has a rooted background in connecting technology, marketing and communications with the concepts of student development. Lace has been a facilitator for the Student Social Justice Training Institute, at multiple queer student leadership retreats and has presented at both National Association of Student Personnel Administrators conference and NASPAtech. 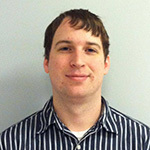 Logan graduated from Central Washington University in 2009 and did freelance work for several years. He started working at PLU in 2012. Since then, he’s been responsible for completely redesigning the university’s website, and was a huge contributor ahead of an award for outstanding design and functionality in 2015. He is also the author of the book, 10 and 90: The Tackle That Changed Everything, and an inspirational speaker. He is on a mission to share his story and positive attitude after a spinal cord injury in high school left him in a wheelchair and derailed his dreams of playing professional football. When he’s not designing, writing or speaking, Logan enjoys going to the gym and relaxing at home with his wife, daughter and dog. They currently reside in the beautiful Pacific Northwest, and are lifelong Seattle Seahawks fans. Hans joined PLU as a senior graphic designer in 2016. He previously worked as a freelance graphic designer for various clients, including the University of Washington Tacoma. He earned an Associate of Applied Science in graphic design at The Art Institute of New York, as well as a bachelor’s in media art and animation from The Art Institute of Pittsburgh. Sam O’Hara graduated in 2003 from Western Washington University. She received her MBA at PLU in 2016, and has designed for past clients including Disney and Nickelodeon, and was Stephanie Anne Johnson’s manager and publicist during her time on The Voice. Ohio native Debbie Cafazzo — the first member of her immediate family to graduate from college — attended Northern Kentucky University on an academic scholarship. She’s been writing about kids and education for most of her career. Following nearly 25 years as a reporter for The News Tribune in Tacoma, she moved to Tacoma Public Schools, where she currently works as technology communications coordinator. Christian Caple is an award-winning, Tacoma-based journalist. He currently covers the University of Washington football team for The Athletic, a subscription-based sports journalism website. Before that, he covered UW football and basketball for The News Tribune in Tacoma. Other former employers include The Spokesman Review, seattlepi.com and the Moscow-Pullman Daily News. Karen Miller is a freelance writer based in Tacoma. She is a graduate of the University of British Columbia and attended the Missouri School of Journalism. An avid reader, Karen also works at King’s Books as a bookseller, where she can be found offering recommendations and playing with the two store cats. See more from Karen at her website: karenemiller.wordpress.com.